Lucius Antonius, an ancient Roman legionnaire, finds himself drawn into a struggle between mystical roses, each possessing powers that he only comprehends as magical. He is unaware that each rose, a physical construct for an alien artificial intelligence, has a singular purpose on Earth. Unknowingly, he finds himself involved in a subversive interstellar conflict that predates the rise of civilization. Gifted or cursed with immortality, Lucius wanders the Earth as the millennia long war unfolds, searching for those who will ally with him before the final conflict. A French priest, a Viking shield maiden and an Irish immigrant make an unlikely team as they confront the secretive Obsidian House. 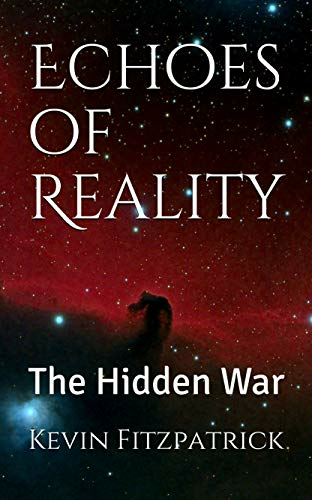 “Echoes of Reality” is filled with quantum-based powers that mimic magic, ancient sword fights and modern clandestine assault teams, secretive orders and an insidious evil that takes shape through history. Soon, Lucius and the team find themselves beset by a new adversary who has allied with Obsidian House and their worst fears are realized.